Holiday patches are not only festive, but they also make great premium items for your customers and friends. are yet another way for you to spread Christmas cheer for your family, at work, your church or other group. 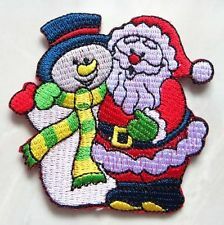 Be it the traditional Yule images of Santa Claus, Christmas trees, wreaths, reindeer or more specialized designs, the Chicago Embroidery Company reminds you that the art of an embroidered patch lends itself especially well to the holiday season. 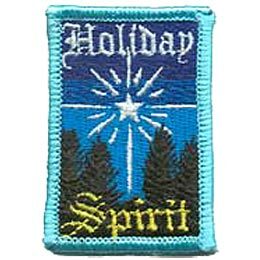 Some of our customers use patches to promote a specific holiday event like a Yule train ride or wreath sales, while others have a more encompassing embroidered message of celebration or wishes of peace on earth and goodwill toward mankind. 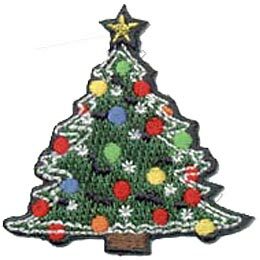 And your holiday patches don’t have to be just round, square or oval in shape. 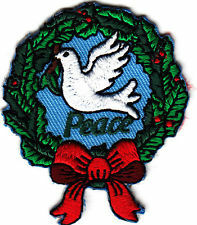 Unique Christmas patches are often die-cut with elaborate shapes and intricate designs. Computerized stitching equipment lets virtually any design be transferred to various shades of backing fabric with a pallet of multi-hued, colorfast acrylic threads.